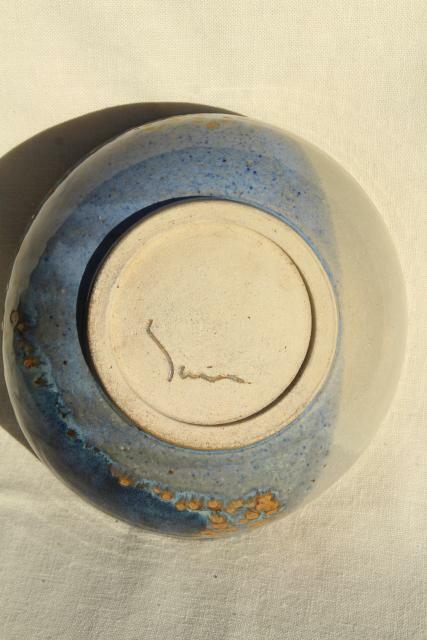 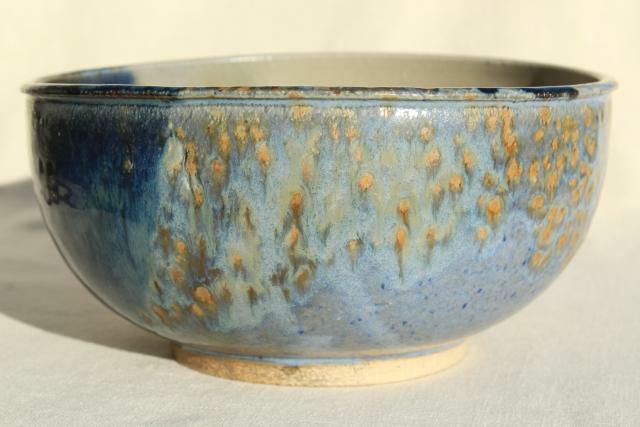 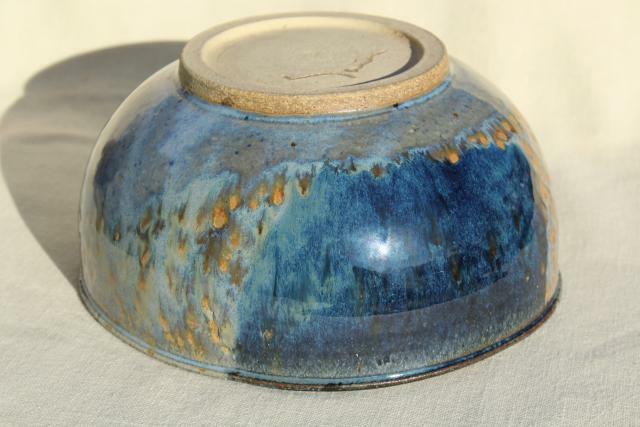 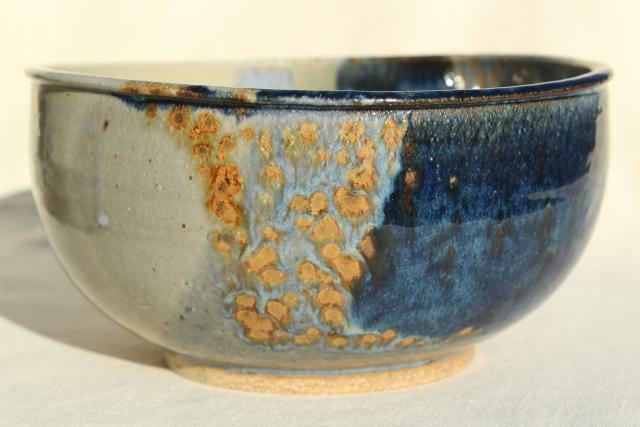 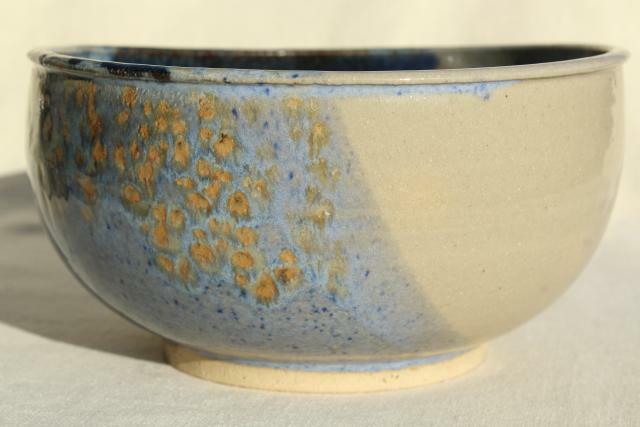 Beautifully made hand thrown pottery bowl, signed by the artist. 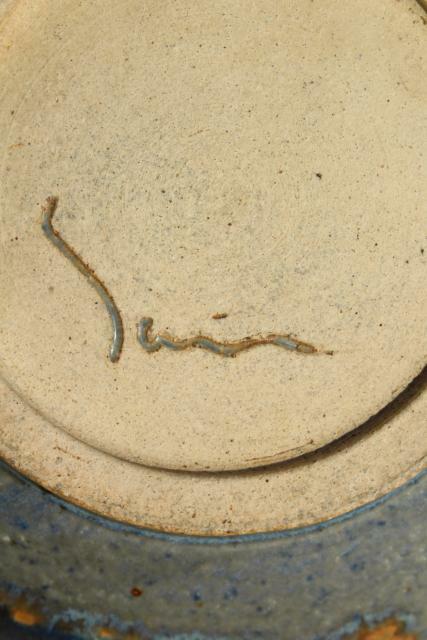 We can't make out the signature on this piece so we're not sure of the exact vintage, 1980s? 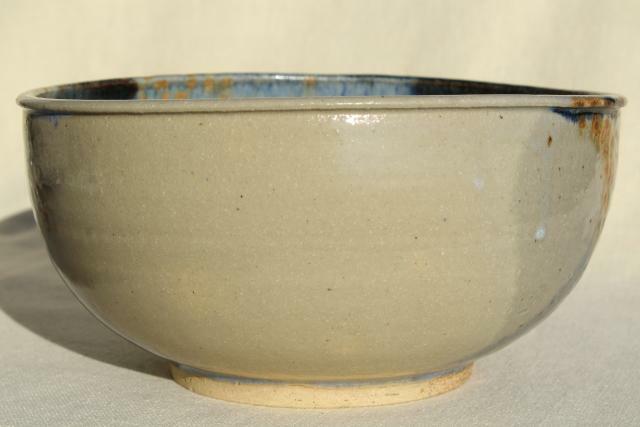 It measures about 8 1/2" in diameter across the rim of the bowl, and it in very good condition without damage or wear. 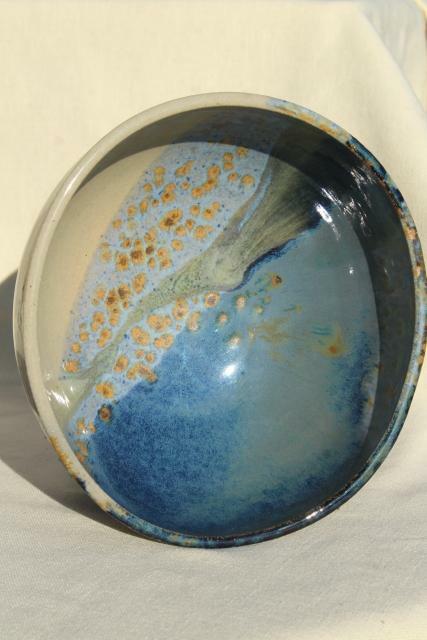 We love these sand and sea to sky colors striping the glaze.